Watching Fear Itself, munching on some cashews, might as well skim the trades, see what's coming up, how many times I can use a comma, all right I'll stop. Hardcover Highlight for this week would definitely be the Orion omnibus. 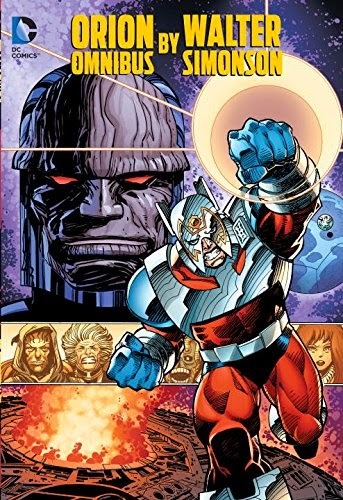 I've got the Orion: The Gates of Apokolips trade all ready which covers the first five issues of Walter Simonson's Orion series. The omnibus will give me the other twenty issues and some stuff from Jack Kirby's Fourth Worlds - absolutely worth the upgrade. So, without further adieu and absolutely no fanfare, we begin! 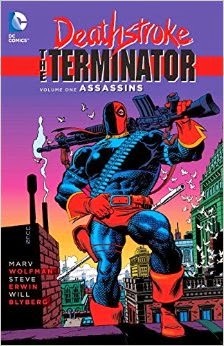 I'm kind of surprised this didn't come out during the second season of Arrow, or even the first, when Slade was more of a fixture. Maybe they tried and there was problems? Either way, it doesn't matter because it's here now! I'm pretty excited about this coming out. I'm a big fan of DC's run in the 90's and with Marv Wolfman behind the wheel I'm sure it'll be enjoyable. Hopefully it sells well enough to get a Volume 2! 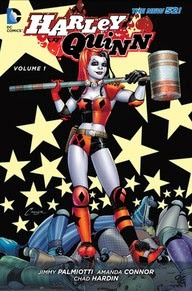 Harley's New 52 solo title. I like the new Harley look. Less clown, more roller derby. Works for me. Especially with Jimmy Palmiotti and Amanda Conner at the helm. There's also a whole laundry list of who's who artists attached to this, (Walter Simonson, Jim Lee, Charlie Adlard, Darwyn Cooke, Bruce Timm, Sam Keith etc. etc. ), so there's either an issue where everyone and their mother gets to do a page or each issue switches artists. Either way, it'll be interesting to find out. Just wanted the excuse to research this a little bit, have no idea what it is. Turns out it's a reissue of a book they printed 17 years ago in conjunction with Homage who, I'm assuming, are no longer around - hence the reissue. 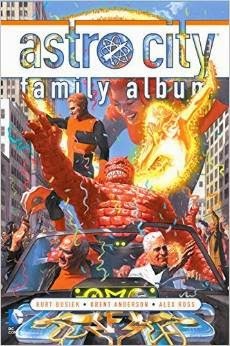 If this sells well there's a good chance DC will reissue the other volume's from Kurt Busiek's alternative superhero title.